Just want to give a quick overview of my life since mid 2010 to present, early 2011. This is part 1 of 2. For several years I was a software developer/consultant at a few companies and organizations. I mostly used .Net and Microsoft technologies as my tools for solving problems. In July of 2010, I decided to quit my 9-5 job and try new things out. I bought a Macbook Pro and decided that I wanted to get away from .Net and Windows for a bit and just think differently. My goal was to pick up some Ruby/Rails, do some Android development, and get started with Git– all the while doing some traveling and photography before I made my way out to California. 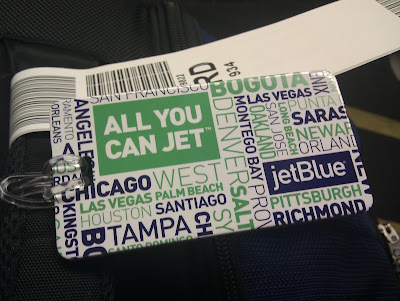 Afterwards, I came across JetBlue’s All-You-Can-Jet (AYCJ) package for traveling in September 2010. I took advantage of this and decided to visit family and friends all around the US. I visited the following cities: Boston, New York City, Denver, San Francisco, and Los Angeles. It was an amazing traveling adventure for me as everyone I visited were able to put a roof over my head. I met other JetBlue travelers on my flights, many of them too were visiting cities all across America. I went to Boston to visit my sister and my undergraduate school, Boston University (BU). I actually have a blog post of my visit to the CS lab where I used to work and basically live many study and programming nights. I basically ate at a lot of places, walked around BU campus, and took photos everywhere I walked (MIT and Harvard University). Oh, I also went sailing in the Charles river for the first time. I only had a layover in New York City for a few hours before my visit to Denver, Colorado. I flew into JFK airport, paid $50 for the cab to drive me to Times Square, and for 30 minutes ran around taking pictures, before taking a cab back to JFK (yet another $50). I had absolutely no time to meet with friends or even eat in Manhattan. Pictures from Denver where I visited an old friend and his family. I really had a time walking up/down mountains as the city is already 1 mile above sea level, so I was often short of breath. This picture set was my first visit to San Francisco this AYCJ trip (third trip to SF overall in my life). Sorry, no formal pictures from Los Angeles. Had to fly into Long Beach, as JetBlue didn’t have flights directly into LA. I went on a massive eating tour in LA, so you’ll have to check out my LA posts in at FoodIsHappiness. After my September Jet-setting, in early October I packed my stuff in my Chicago apartment and moved out and prepared for my trip to Thailand. My goal at this point was to visit family and see what life was like out there. I left Chicago on November 7, 2010. My return flight was set for December 8, 2010.